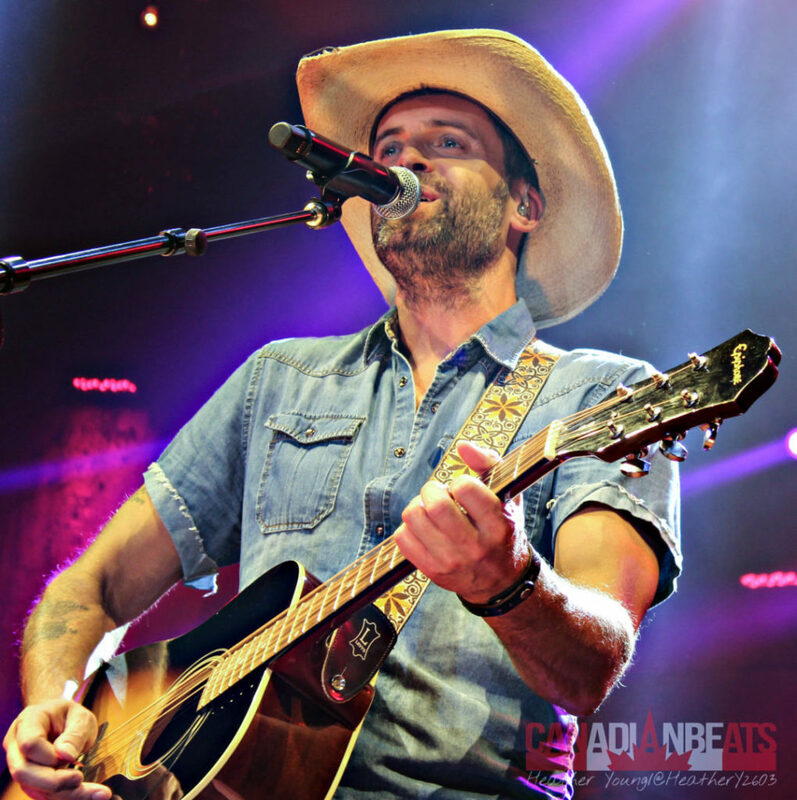 Dean Brody made his debut in country music back in 2009 with the track “Brothers” and has since been pushing out hit after hit, and won numerous CCMA and Juno Awards. 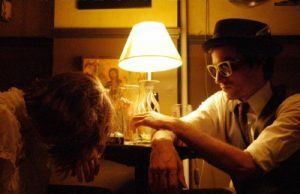 His sixth album Beautiful Freakshow, was released in 2016, and leading single “Bush Party” has become a country music radio constant. 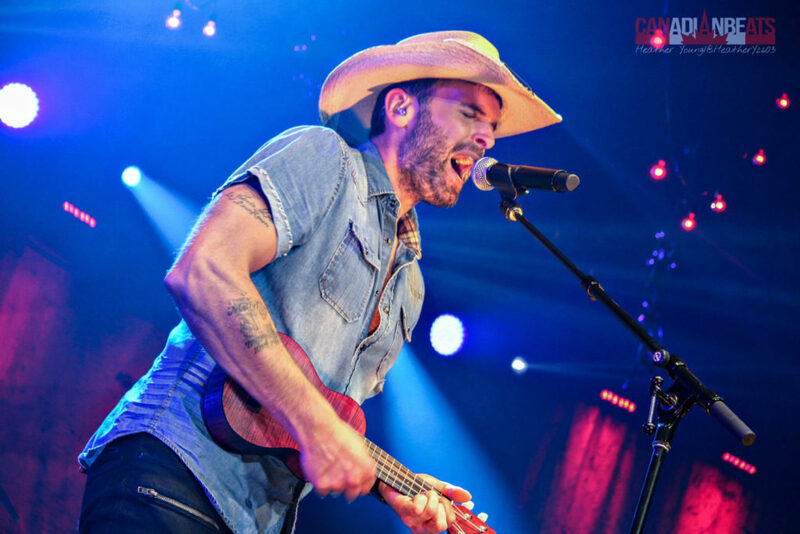 Dean took his Beautiful Freakshow tour to Calgary this past weekend. 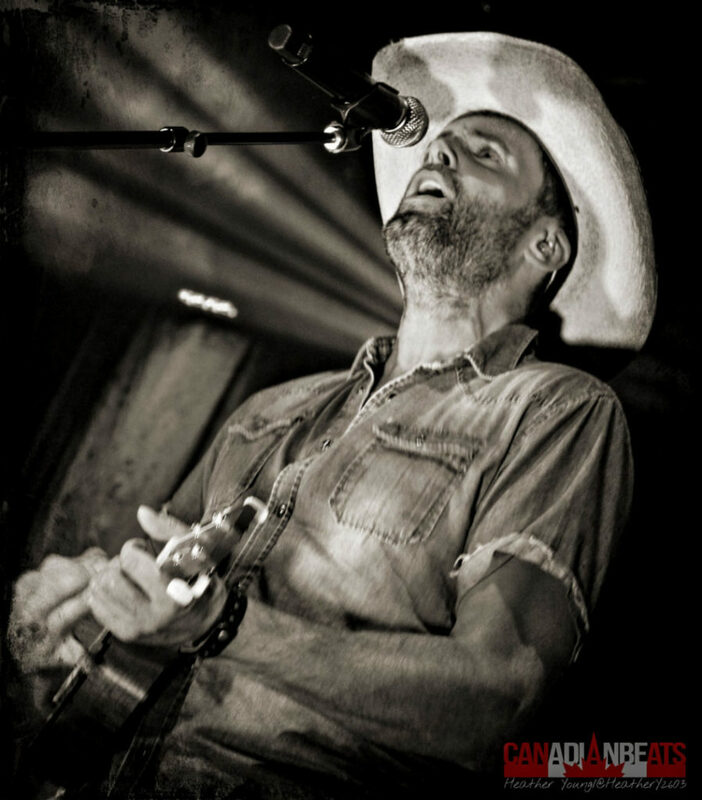 Calgary was the last stop on the tour he shared with James Barker Band and Madeline Merlo, that started in April. 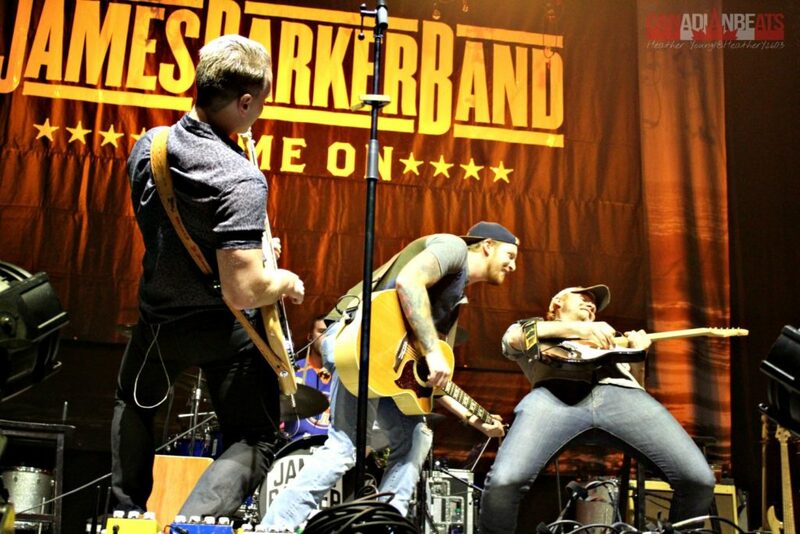 James Barker Band, country group formed in Ontario, were the first to take the stage with hits like “Lawn Chair Lazy” and latest single “Chills”. 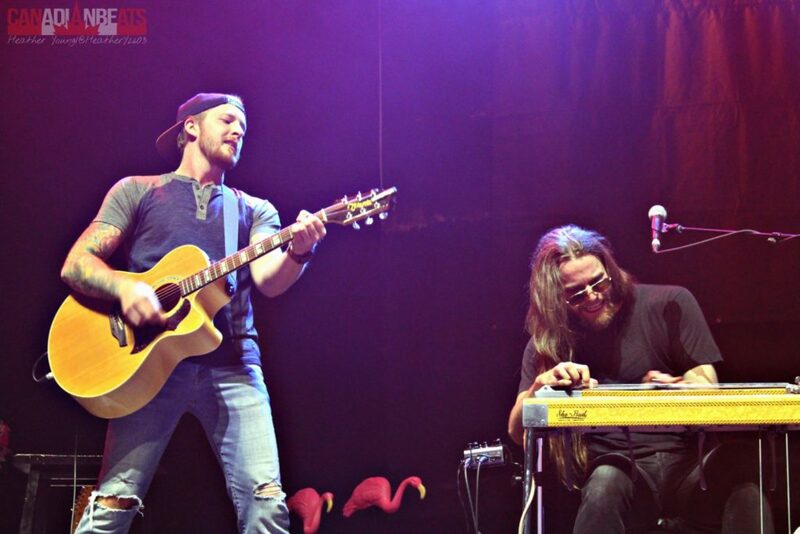 The band released their first album entitled Game On earlier this year. 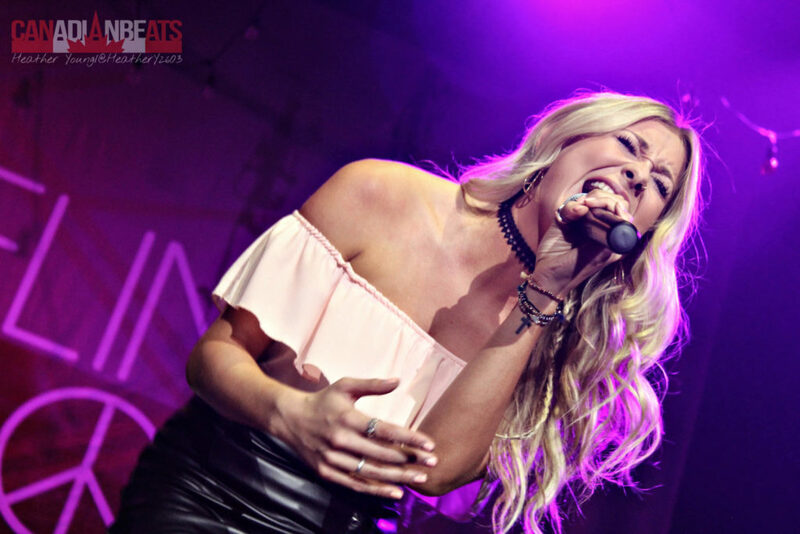 British Columbia native, Madeline Merlo, took the stage next. Surrounded by colourful stage props like palm trees and flamingos, you immediately felt like you were on summer vacation. 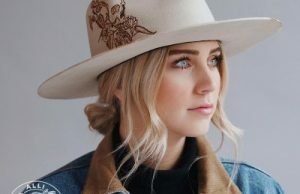 Madeline performed her hits like “Honey Jack” and her latest track “Motel Flamingo”. 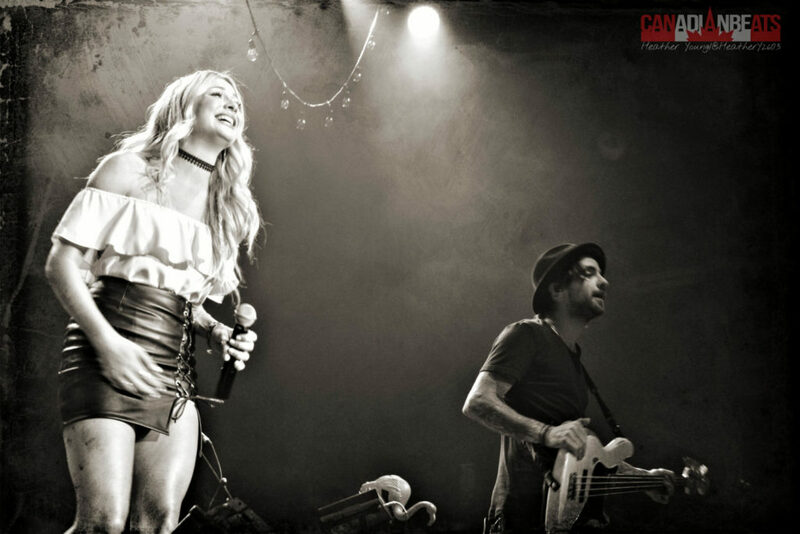 Merlo’s voice is effortlessly flawless, it’s not hard to see why the country music scene is buzzing about this girl. 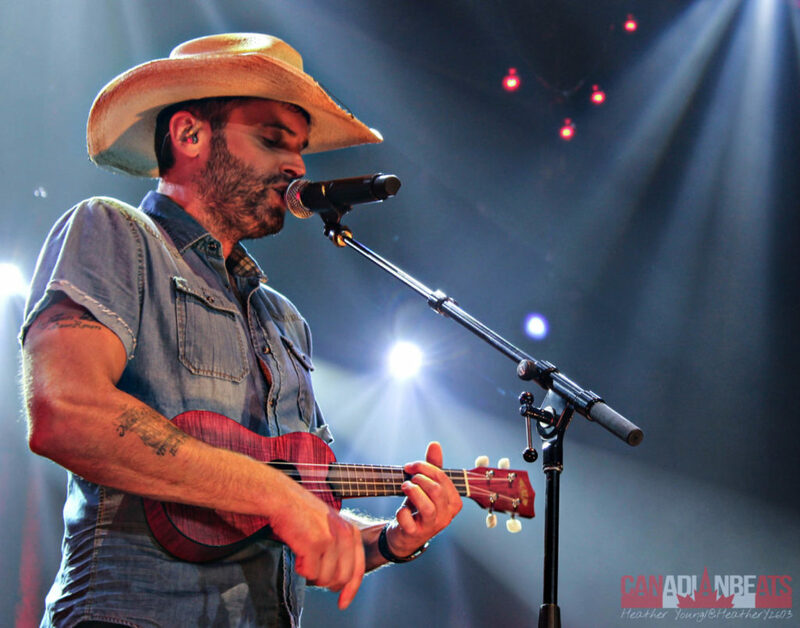 Before you knew it, it was time for the highly anticipated Dean Brody to grace the stage. 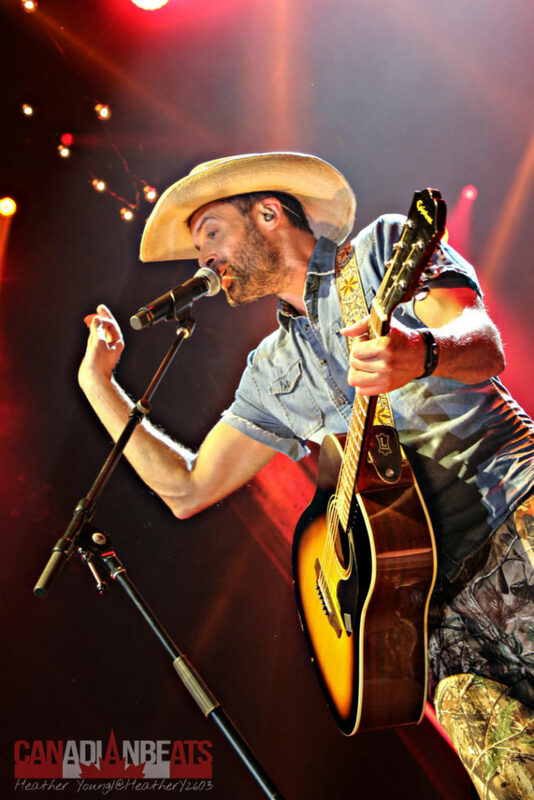 Known for his party anthems and beautifully written ballads, he is definitely a Canadian country favourite. Stepping on stage with some serious smoke show effects, the show was already visually pleasing. The place erupted in screams, making it obvious that the ladies sure love them some Dean Brody, Dressed in some country camo pants, Dean displayed a playful side when he asked the crowd what they thought of his camo pants, and then soon tore them away, driving those lady fans into a frenzy. 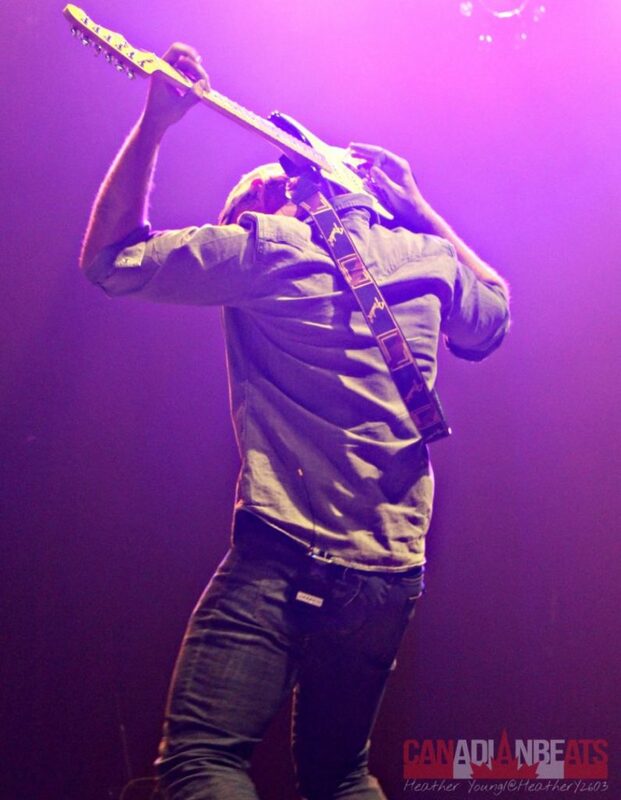 Dean played all his hits including “Bush Party”, “It’s Friday“, and “Love Would Be Enough”. 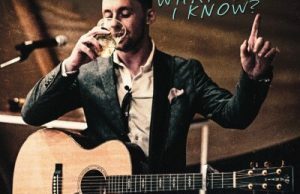 Suddenly, the lights went down, and when they came back on Dean was sitting on a tiny makeshift stage, mid arena and mid crowd, ready to play a few ballads. The crowd rushed to get closer to him and enjoy the part of the set that made you feel as if he was playing you a personal acoustic set right in your living room. 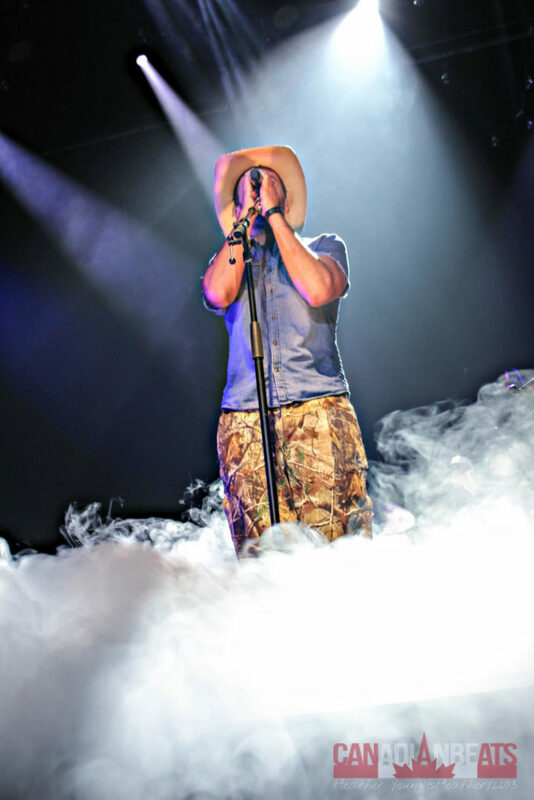 Performing his debut single “Brothers” and his more recent tear jerker, “Time”, this part of the show was beautiful. I’m not one to get emotional during live shows, but the way he belted out those lyrically moving tracks to an almost silent crowd, was down right incredible. One thing that I really commend Dean for is his full use of the arena, he didn’t just stick to the stage putting on an energetic show from the front, this man was running all over the venue during his performance of “Canadian Girls”. Dean was singing directly to fans, giving high fives to young fans, jumping up on barriers, all the while security frantically tried to keep up, and he never missed a beat vocally. To add to the excitement, there was even some unexpected musical talent when Dean started waving around chain saws. 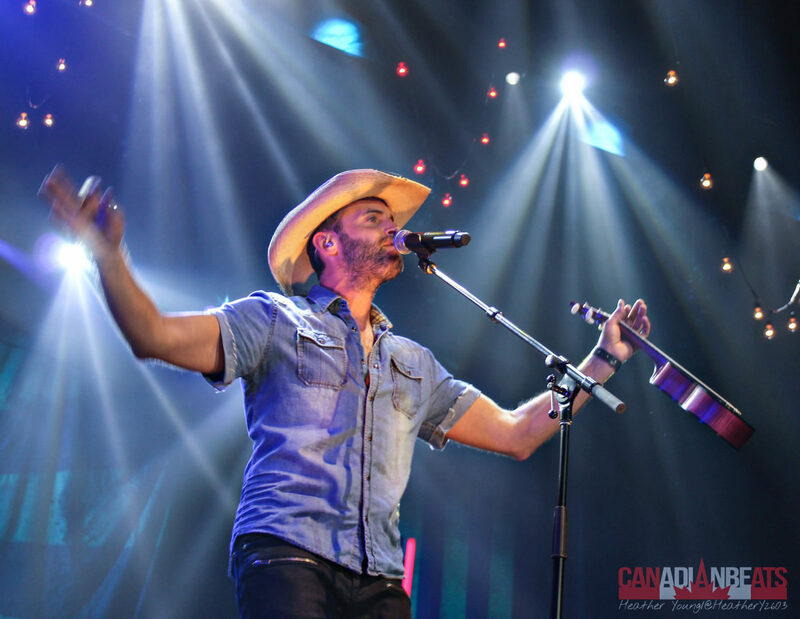 To say the least, Dean Brody sure knows how to put on a show, and I suggest that if you haven’t caught him live yet, that you should add it to your live show bucket list. 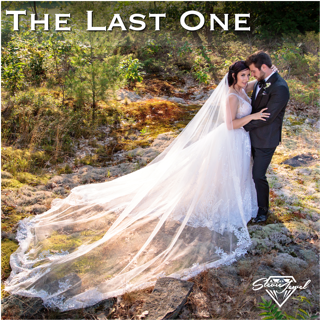 For the full photo review of the show be sure to check out our Facebook page.